In case you don’t remember or didn’t know or whatever, I gave up sweets for Lent. I’m not Catholic, but my dad’s side of the family is and it’s one practice we’ve kept. It’s generally a rewarding experience and I feel great for doing it. Must. Not. Nom. The. Screen. But it’s only been eleven days and I’m about to go crazy for a cookie. 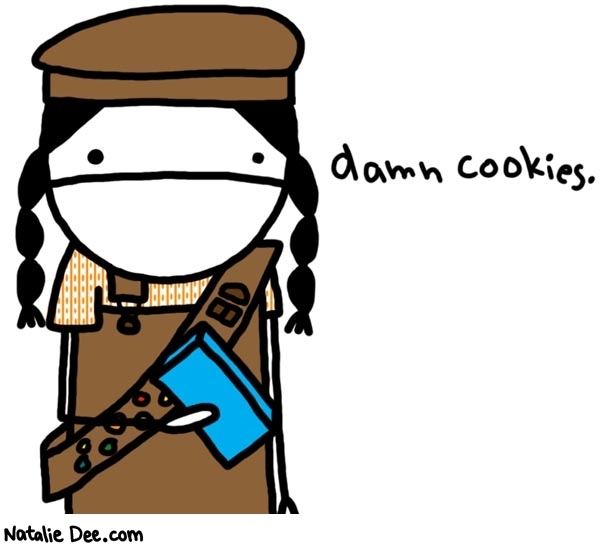 There are four boxes of Girl Scout cookies sitting in the cupboard and it’s making me loco.